We adore this piece by Red Poppy Pickin' by Chelsea's Creations LLC! 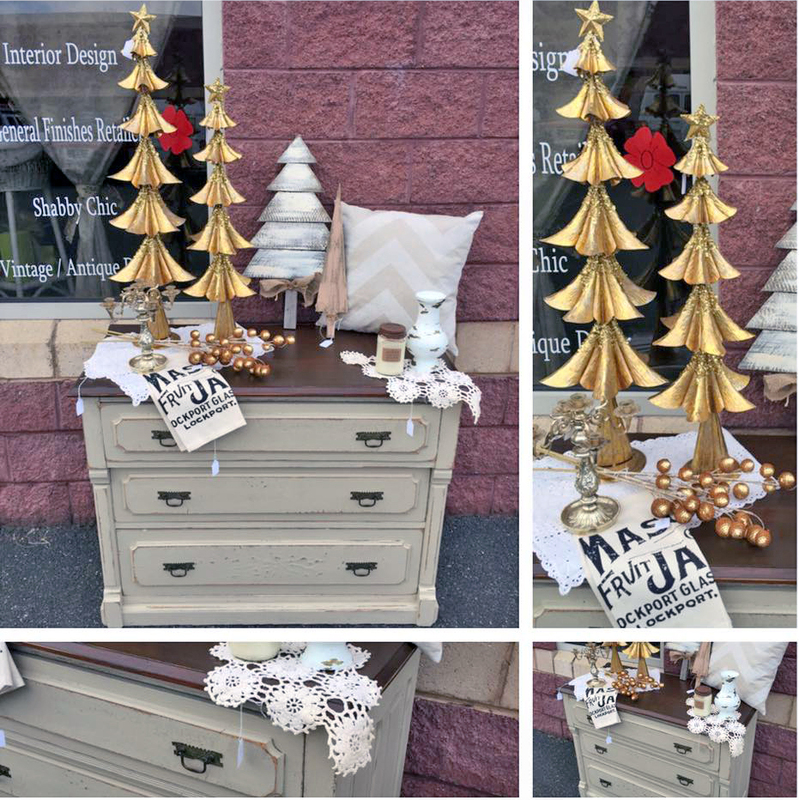 Chelsea say, "beautifully crafted chest of drawers painted in distressed Millstone (Milk Paint), top stained in Antique Walnut (Gel Stain) and sealed in High Performance satin Topcoat by General Finishes!! This piece has the original knobs and character with five tailed drawers!! The perfect piece for a smaller tv, entrance way or accent area. This color scheme can be matched with any pop of color!!!"